Providing a safe place for the birds to raise their young is a key to creating a bird-friendly habitat. Now is an ideal time to put out bird houses to provide for some of Central Oregon's favorite cavity nesting species, including Chickadees, Nuthatches, Wrens, Bluebirds, Swallows, and Flickers. 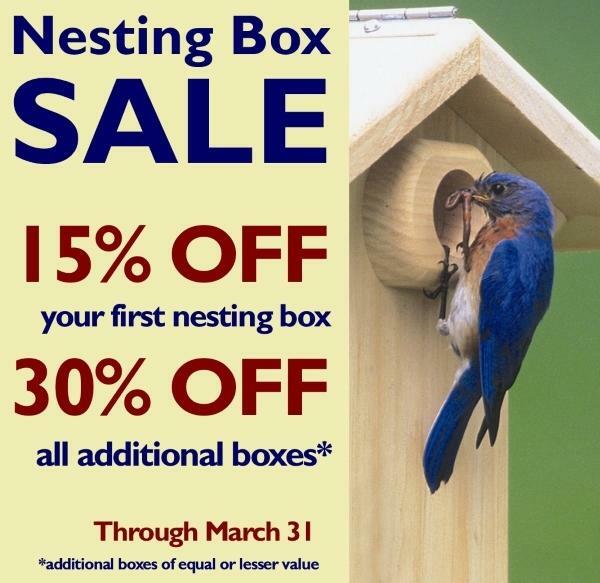 We carry a variety of nest boxes, each specially designed with the dimensions and features to appeal to the birds, and they are all on sale through 3/31/19.